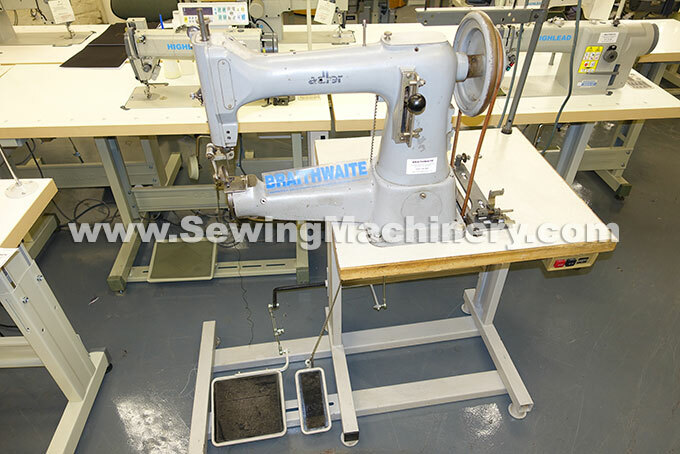 Adler (Durkopp-Adler) 105 -6 extra heavy duty cylinder arm industrial sewing machine. 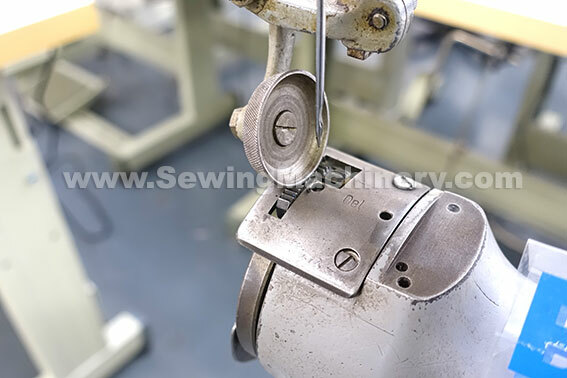 Roller presser foot assembly for use with heavy leather, heavy belts, tack, straps, bags etc. Useful cylinder shaped arm for easier handling when working with 3 dimensional items. Large shuttle hook assembly and size 160 to 230 thick sewing needles for stitching with thick threads & heavy weight materials.